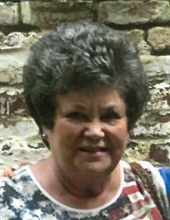 Molly Stone Jones, 71, of Martinsville, VA passed away on Friday, November 30, 2018. She was born on March 30, 1947 to the late Norman Stone and Marie Brown Stone. In addition to her parents, she was preceded in death by her husband, Calvin Lewis Jones; and a sister, Margaret Ann Stone. Mrs. Jones was a member of Jones Chapel Church of the Brethren and worked as a hair stylist for many years at Style City, Salon Classics, and His & Hers Salon. She is survived by her two daughters, Malaura Jones Mastin and husband James of Martinsville, VA and Carolyn Jones Carter of Collinsville, VA; brother, Larry Stone of Martinsville, VA; and three grandchildren, Marshall Carter, Lauren Carter, and Ashley Mastin. A funeral service will be held at 11:00 a.m. on Tuesday, December 4, 2018 at Norris Funeral Services, Martinsville Chapel with Gerald Bailey and Pastor Emma Jean Franklin Woodard officiating. A visitation will be held from 6:00 p.m. to 8:00 p.m. on Monday, December 3, 2018 at Norris Funeral Services, Martinsville Chapel and other times at the family residence at 431 Hidden Valley Dr, Martinsville, VA 24112. Burial will be at Roselawn Burial Park. In lieu of flowers, memorial donations may be made to Jones Chapel Church of the Brethren, 2390 Figsboro Rd, Martinsville, VA 24112 or to the Figsboro Ruritan Club and Ladies Auxiliary, C/O Alice Carter, 8320 Daniels Creek Rd, Bassett, VA 24055. Norris Funeral Services, Inc. and Crematory Martinsville, VA is serving the Jones family. To send flowers or a remembrance gift to the family of Molly Stone Jones, please visit our Tribute Store. "Email Address" would like to share the life celebration of Molly Stone Jones. Click on the "link" to go to share a favorite memory or leave a condolence message for the family.